7. Taste for spice level, if too spicy, add in 2 tbs coconut oil and cook for 3 minutes. If not spicy enough, add in more cumin and chili/chipotle powder. This will easily count as at least 2-3 servings of vegetables per bowl, but, remember to still get enough fruits and vegetables in other meals throughout the day. Tips: You can experiment with the formula but make sure to get all of the colors covered. For example, you could use 3 sweet potatoes instead 1 butternut squash or any hearty leafy green like Swiss chard or kale. 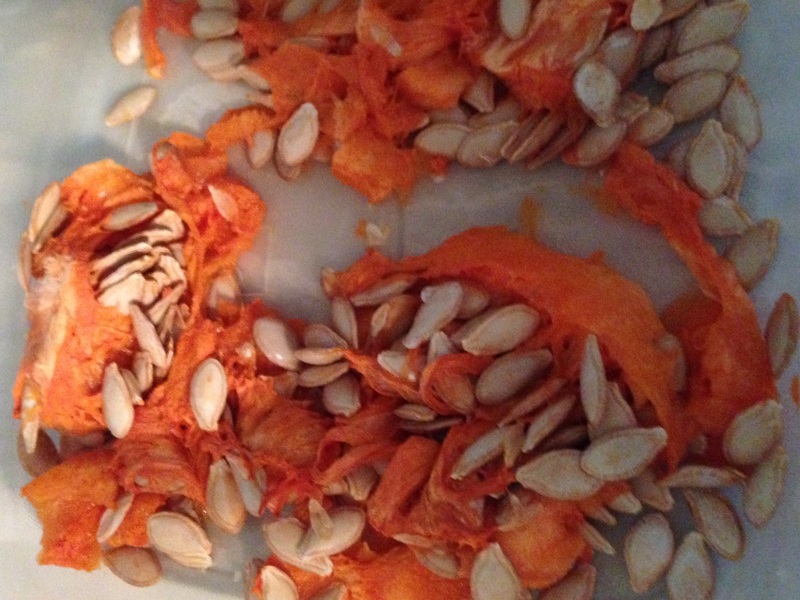 Instead, clean and rinse the seeds. Lay them out on a clean cloth or paper towel in a single layer and set aside to dry. Once they are dry, toss them in a tsp or so of oil and a pinch of salt (or whatever spices you would like). Finally, bake in the oven at 300 degrees for about 10 minutes. They are edible just like pumpkin seeds. Then, once you are full on chili and squash seeds, I highly recommend that you go check out Jeff Yeager’s YouTube Channel: The Cheap Life. I am far from mastering a budget lifestyle but I draw on him for inspiration. He has mastered living a thrifty (cheapskate as he calls it), happy, and healthy lifestyle. His videos are produced by AARP but his videos are awesome for all ages. He gives great advice with a sense of humor and lots of personality. Next week, I will be sharing another recipe video. I just did not have it quite completed for this week. This video will cover a great way I discovered to make smooth hummus without a food processor or blender, no electricity at all so it would be excellent for camping or on the go. Hummus is another one of those foods that I love but have been unable to eat for a long time due to my garlic intolerance so I can never find it at stores or eat it at restaurants. And, I cannot make it at home because I lack a high-speed blender/food processor. Lumpy hummus is not delicious, there is definitely something about texture when it comes to hummus. So, when I basically stumbled my way into creating this awesome recipe, I could not wait to share. 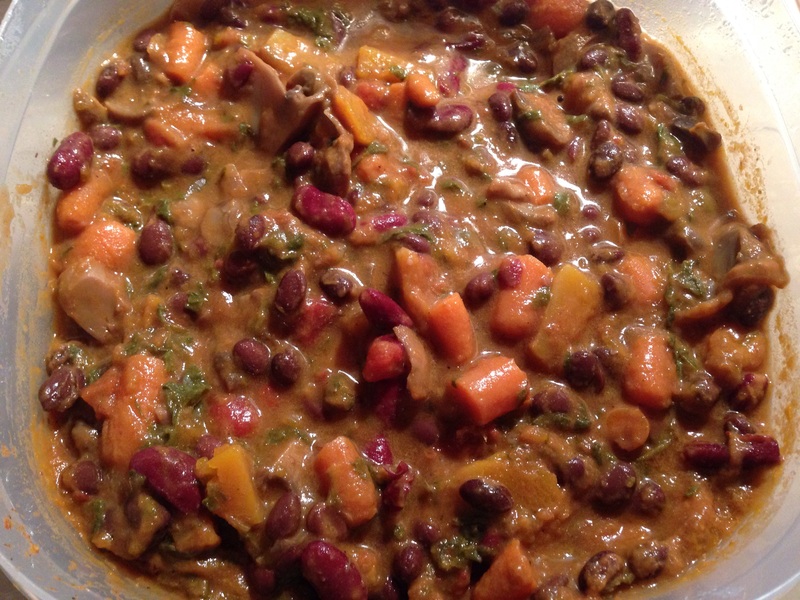 This entry was posted in Food Budget Challenge, Uncategorized and tagged budget, cs5711, don't throw that away, food budget challenge, healthy living, recipes, vegetarian fall foods on November 18, 2014 by livinwholly.